What will it be, growing in bags or growing in containers? According to Sebastián Ochoa Münzenmayer, Agricultural Engineer, bags are justified for short-cycle crops like vegetables. 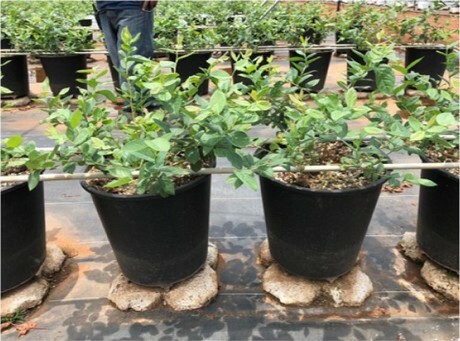 "When working with a shrub crop, such as raspberry, blueberry, blackberry and even fruit plantations, rigid containers of high durability must be used. And drain properly, the container needs to be separated from the ground", he states. Sebastián is an Agricultural Engineer (MBA) and holds a Masters in Agricultural Technology. With this background he teamed up with Plantlogic to help bring the message to the supplier as well as their clients, for reaching the best growing results. "The optimum substrate recommended hydroponic cultivation is coarse-grained coconut fiber (3 mm), short fibers and low powder percentage", he explains. "However, the dust causes the substrate not to last the necessary years that must last in a shrub crop, and the long fibers become clogged by not allowing the ingress of water and proper root development." That doesn't sound too positive - does it? So what would be the solution? "A proper oxygen flow and proper drainage of the substrate", he responds. To contain the substrate, two types of products, rigid plastic bag or container are used. 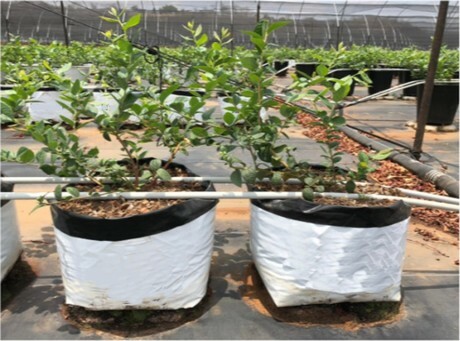 "The bag is justified only if a short-cycle crop (vegetable) is used because of the low cost and ease of installation when using substrates already packed in the final bag", Sebastian says. "On the other hand, the bag does not allow good drainage when being in direct contact with the soil, because the soil is saturated and there is no movement of water by capillarity, so add the expense of installing some system that allows that it does not come into direct contact with the ground." That's why Plantlogic developed various systems to lift the substrate containing bags from the soil. However, when working with a shrub crop such as raspberry, blueberry, blackberry, and even fruit plantations such as cherry trees in landless production systems, Sebastian says rigid containers of high durability must be used, which allow the orchard to be maintained in production high and stable for periods superior to 10 years. "And also allowing the reuse of these containers against some varietal or species change", he adds. "Within the different types of containers, you must select the one that has a design that allows it to drain properly, for which it is necessary for the container to bring some system that allows it to be separated from the ground." "In addition, it has a sufficient number of holes and with such a design, which allows an adequate flow of oxygen into the substrate, since the roots breathe and at a rate 7 times greater relative to the aerial part when doing photorespiration. This is tremendously important for a bush like blueberry, which does not tolerate prolonged periods of anoxia and being a calcifugus species, is very affected by the formation of bicarbonate. Under flooding conditions, gas exchange between soil and air is reduced." Oxygen content is normally present at a level of about 20% in a well aerated soil or substrate, which is reduced and rapidly consumed by the microorganisms. "Microbial metabolites accumulate and transform into toxic, as behaved anaerobic metabolism products in the roots. This includes alcohol, methane, methyl compounds and aldehydes. Some soil nutrients are reduced and become toxic and, by filtration and denitrification, soil nitrogen is reduced. Due to the death and poor functioning of some roots, the stomata are closed, photosynthesis is reduced, and nutrients are not absorbed by diminished root permeability, then hormonal imbalance occurs in plants, as well as epinepsy of leaves (curvature downwards), chlorosis and abscission."